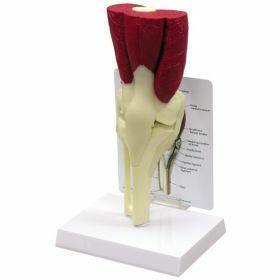 Full size normal right knee anatomical model includes: rectus femoris, vastus lateralis and vastus medialis muscles, femur, fibula, patella and tibia bones; anterior cruciate ligament, quadriceps femoris tendon plus six more ligaments and tendons. 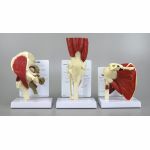 Model size: 3-1/2" x 3" x 10" Education Card size: 5-1/4" x 6-1/2"
Notice to Sales and Marketing Directors: Custom Imprinted Anatomical Models Available for Customer Promotions. 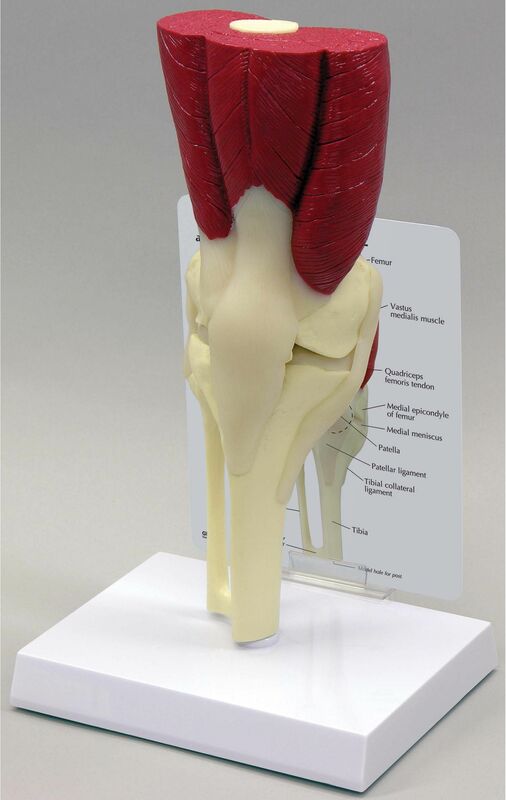 Please Contact Us at 1-847-736-0668 for More Information. 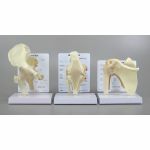 Suitable for Orthopaedics, Chiropractic Medicine, general anatomical study, podiatry, training for surgical dissection, sports medicine, or for patient education/demonstration of procedures. Quantity discount available. Brand new. In original factory packaging. 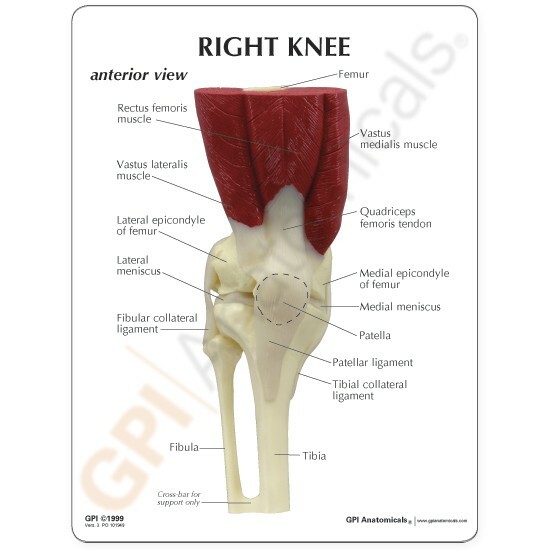 Made of a durable, plastic material accurately designed and colored to represent the major structures and, in certain instances, lesions or other abnormalities as described above. Includes sturdy and attractive display stand and detailed instructional card. 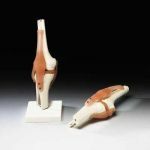 We also offer the premium line of fully functional SSM branded orthopedic bone/joint models including Functional Knee, Shoulder, Hip, Hand/Wrist, Elbow, and Foot/Ankle. 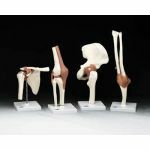 Most with full range of joint motion and detachable ligaments.